When there isn’t much time or money for decor, you have to be creative. 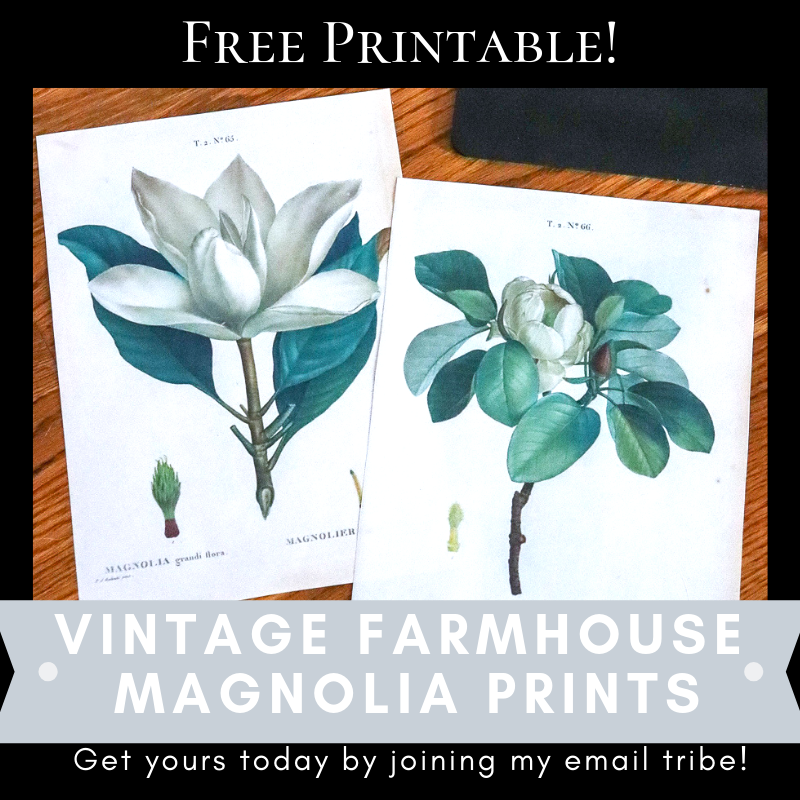 These vintage farmhouse magnolia printables are perfect solution! 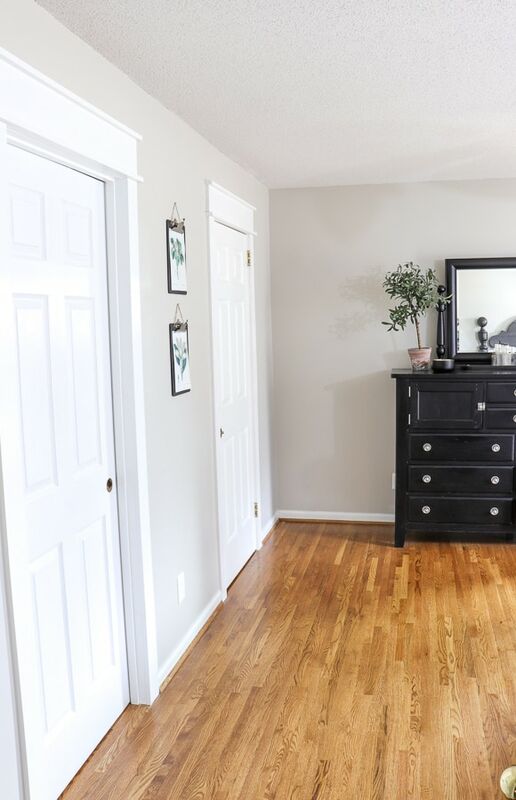 One of my goals for this year is to slowly transform our Master Bedroom. 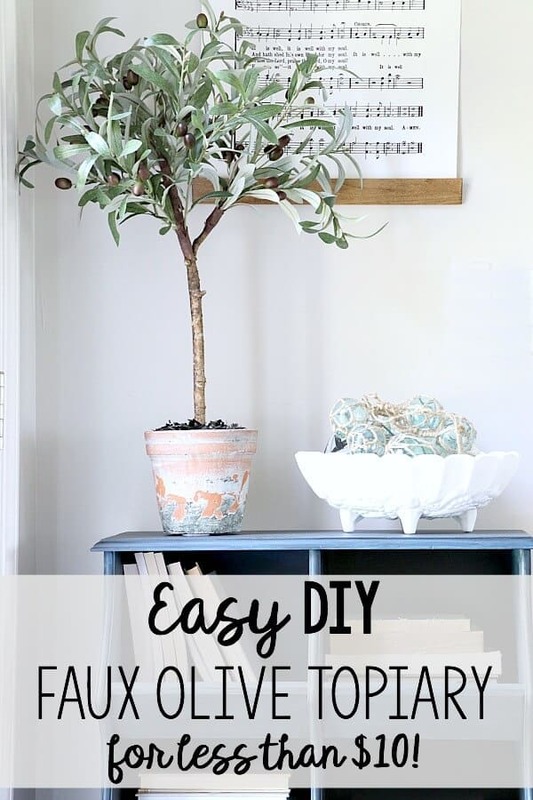 But with a tight budget, we have to take it slow and find creative ways to add decor. Our plan for the bedroom is to use the same colors as we used in our Master bathroom. 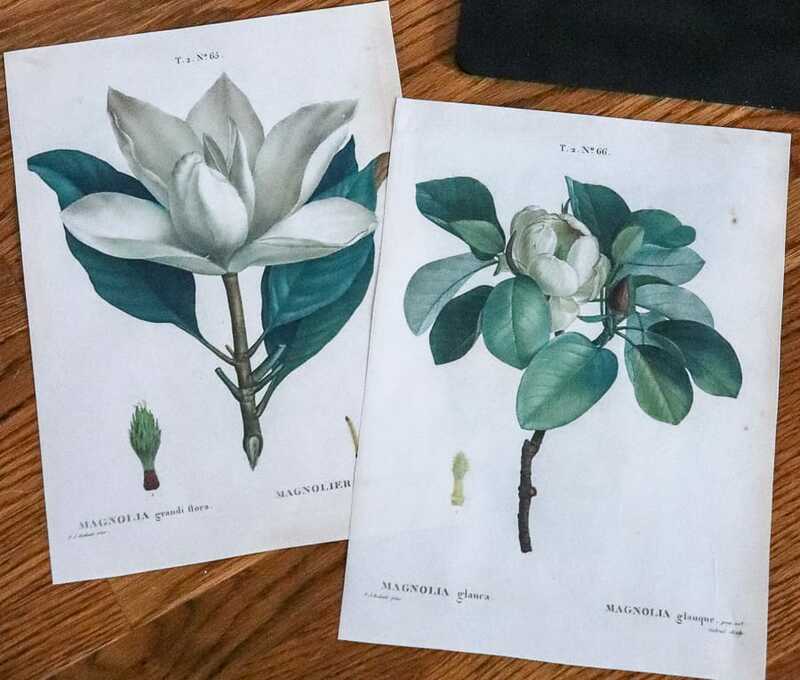 Looking at that pretty green color on my walls these past few months has me thinking of magnolia leaves. 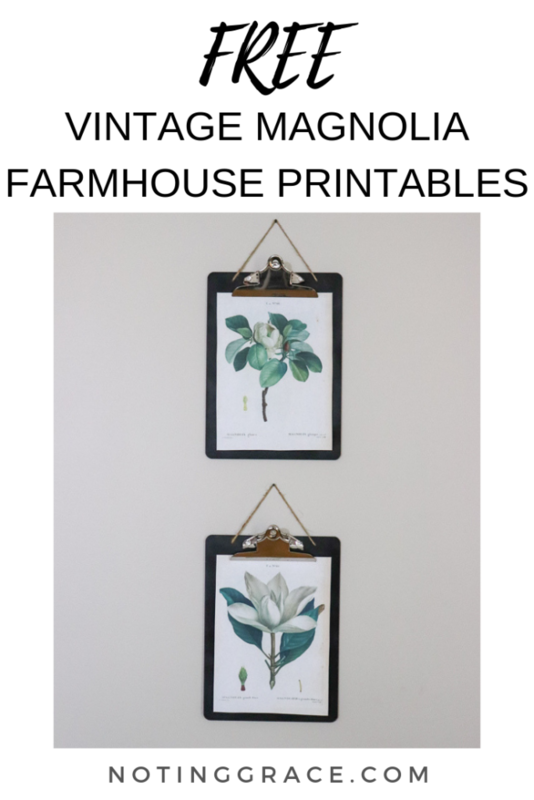 So I went on a search for vintage farmhouse magnolia printables that I could create. I love vintage artwork and the colors they used. I simply printed these out on my inkjet printer, and was pleased with them. You can also send these to your local printer and have higher quality prints done for just a few cents. 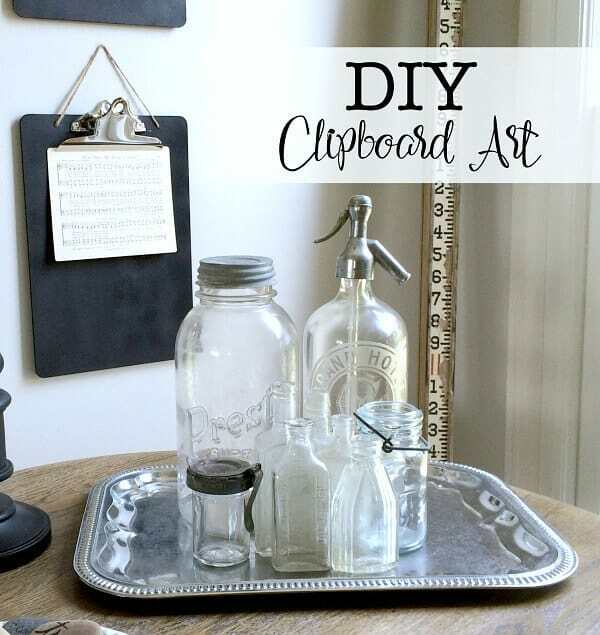 I rummage through my decor closet and found my DIY chalkboard painted clipboards and grabbed a couple. 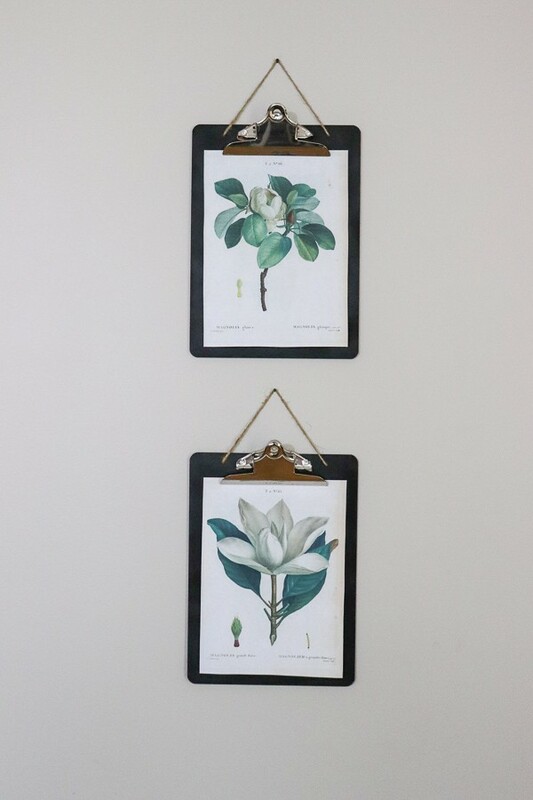 Centering them between the doors, I hung them with some tiny black nails. 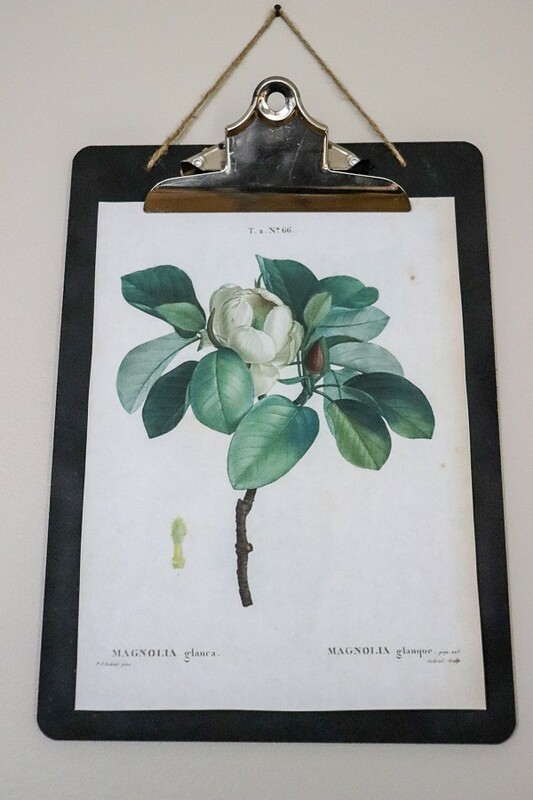 Artwork you can create and hang in less than 10 minutes? I think it’s a nice compliment to the greens and blacks in the bathroom. What I love most about this is that if I want to change it out for different prints, the clipboards make the swap easy peasy. It’s a small start to changing this room. We still have lots to do – like, oh, I dunno…. Maybe some doorknobs? 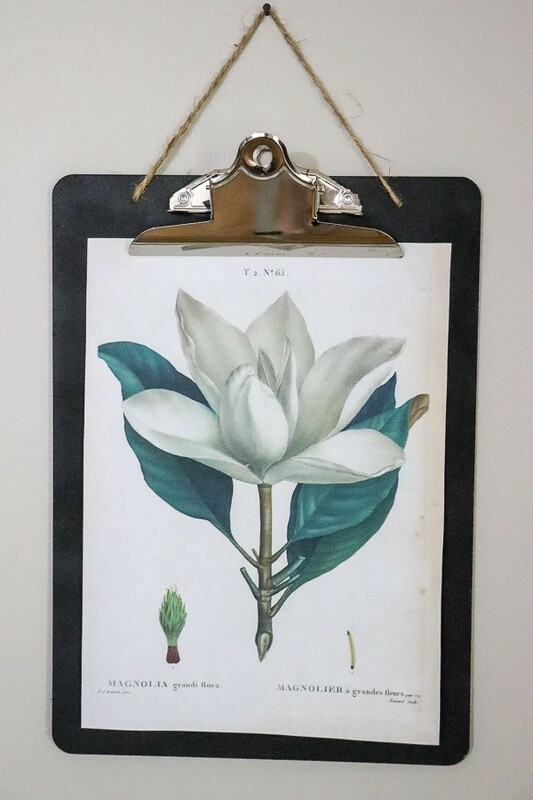 How about a nice little table under those vintage farmhouse magnolia printables? And finish painting the trim on these doors. We also hope to copy this trim work around the windows. And painting! But that’s for another day. For now, I will enjoy making my mark on this room to make this bedroom more like ours. If you want these free printables – just fill out the form below and they will be sent to you straight away! by subscribing to get our latest content by email. 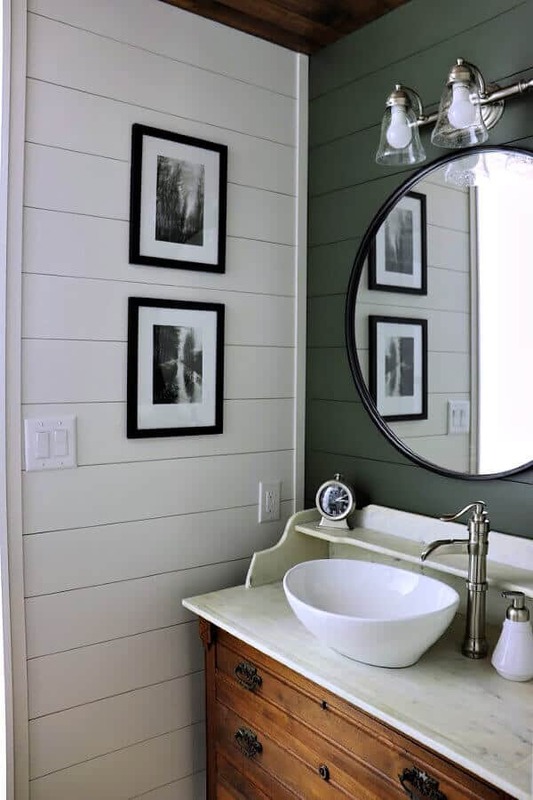 I love the green hue in your Master Bathroom! 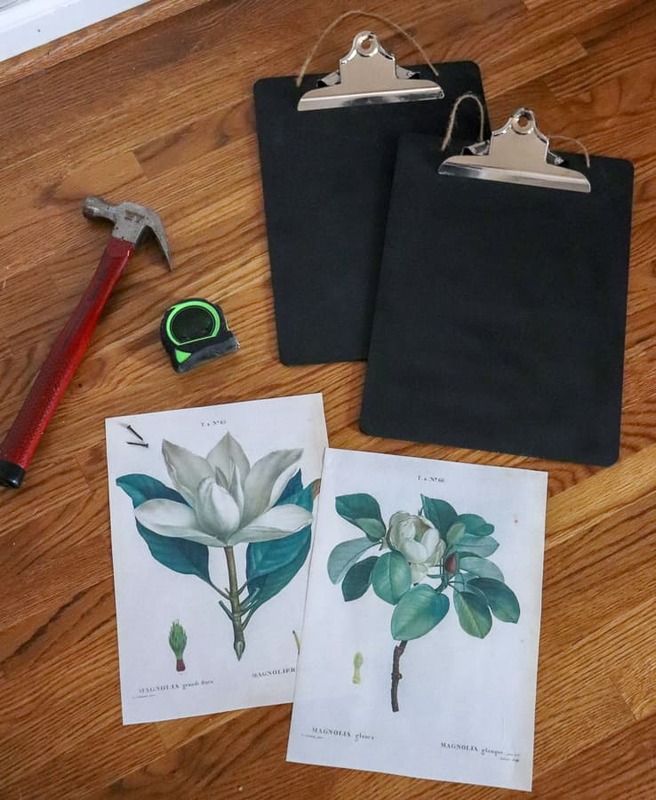 Those Magnolia prints are stunning against the black clipboards! One thing I can assure you of, small budgets make for great creativity. . .
That is so true, Pat! And it gives cause to be thankful in those seasons of tight times – it births something new inside you, right? Jen these prints are just fabulous !thank you for sharing them! I love the taupe color on the walls. Can you share the name? Oh Thank you! 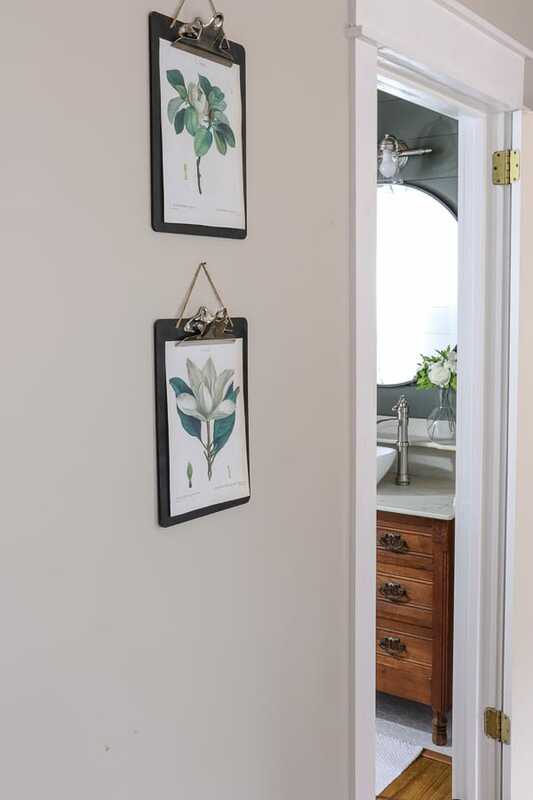 It’s called Revere Pewter – by Benjamin Moore – it’s a soothing greige color.